Cheap and Easy Rubbish Removal. Call Us Today for Unbeatable Service! Are you on the hunt for an affordable rubbish removal service? You’ve found one! Unfortunately it’s sometimes not so easy to find value for money services in the Chippendale and Haymarket area, as many companies have learnt how to rip people off. The friendly team at Same-Day Rubbish Removal have been in the business for over a decade and have been providing unbeatable service to new and returning customers every day since we started. Our rubbish removal service means that you can sit back and relax while our team do everything for you – just let us know what items you’d like to have taken away and they’ll be gone! We know the best recycling centres and drop off locations across Sydney, which is why we can offer such fast and affordable service. We’ll try to have your items reused or recycled where possible, avoiding sending junk to landfill if we can. Don’t waste your time trying to do it all yourself, call in the experts today! One of the reasons our service is so popular in the Haymarket and Darlington areas is due to the lack of easily accessible waste disposal and recycling centres. Additionally, even if there was one just down the street, it can be a difficult task in actually getting it there. Unless you’ve got a large vehicle like a ute, truck, or a trailer, it may be impossible to transport large items like beds, couches and tables. Our trucks have a very large capacity, and there is no household item that we can’t fit on the back of them. We often get called out to jobs where there are large old washing machines, fridges or freezers, coffee tables, and other large items of furniture that don’t fit on the back seat of your car. Our experienced team are pretty good at fighting the traffic and getting to you quickly, so give us a call any time and we can help you have your place cleaned up quickly! With a population of nearly 9,000 residents, Chippendale is located in quite a prominent Sydney location. With the Central Station immediately to the East and the Universitiy of Sydney immediately to the West, local businesses attract many commuters to the various shops in the area. Additionally 4 other Universities have part of their campuses in or around Chippendale. Fortunately for locals they don’t have to go too far when looking for a place to study! With a great rubbish removal service like ours also available, there’s not much more you could want! Got a Ton of Rubbish in Darlington? Immediately to the South of Chippendale, Darlington was once the smallest suburb in Sydney with only 44 acres. While it’s still not a huge place, there are well over 3,000 residents who call Darlington home. There are plenty of businesses, shops, schools, and universities on offer here as well, everything you’d need to live, as long as you don’t mind the traffic! Call us now for fast Darlington service. 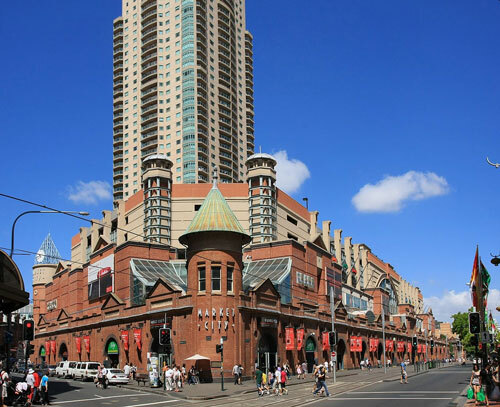 Well known for being the home of Sydney’s Chinatown, Haymarket has a large population and a lot on offer for locals and visitors alike. With less than 10% of residents being born in Australia, Haymarket has a diverse culture with many residents coming from Thailand, China and Indonesia. If you’re looking for a cheap rubbish removal service in Haymarket, give our team a call! Whether you live or work in Haymarket, Darlington, Chippendale, a surrounding suburb or anywhere else in Sydney, we’ve got a truck and workers ready to come to you right now. From home junk collections to office waste clean outs, we’re frequently getting called to jobs around here which is why we’ve got a local truck ready to go! Some days we get calls from Bondi in the Eastern Suburbs as well as Campbelltown in the South-West. Our rubbish removal team prides ourselves on the prompt service we’re able to provide, despite Sydney being such a huge place! Give our friendly and experienced team a call today on 0402 737 046.